SDFish.com was established in 1996 as an information based site for San Diego fishermen. In 1998 a message board was added, creating the first online community dedicated to San Diego fishing and in the late 2000s we began covering fishing related news and fishing reports, providing the single best resource for San Diego area fishing information. 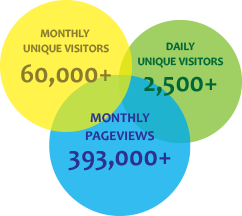 Between the home page content and message forums, sdfish.com averages over 60,000 unique monthly visitors, 2,500 daily unique visitors, and about 400,000 monthly page views. Unlike nearly every other media source, our traffic is extremely targeted, all fishermen and over 55% from right here in the greater San Diego, CA metro area. Our dynamic and scalable advertising options can accomodate anything from a tiny business operating out of your garage make hand poured plastic worms, to one of the United States’ largest car dealerships, and everything in between! We have packages starting at only $25 per month, and you don’t even need a website to capitalize on our advertising. Interested to learn more about our advertising rates and packages? Contact us today.